Less than 10% 10-year risk: 3.4% (95% CI, 1.6%-6.8%); 10% to 20% 10-year risk: 5.5% (95% CI, 3.2%-9.0%); high global cardiovascular risk: 5.2% (95% CI, 3.8%-7.1%); P = .47. Current appropriate use criteria1 endorse myocardial perfusion imaging (MPI) in asymptomatic patients with atrial fibrillation, especially in patients at high global cardiovascular risk, although the evidence to support this practice is limited.2,3 Our study therefore had 2 aims: (1) Does baseline clinical risk inform the overall yield of MPI to detect inducible ischemia in asymptomatic patients with atrial fibrillation? (2) Do perfusion abnormalities in these patients provide incremental prognostic information beyond clinical risk? Our retrospective cohort included 1700 consecutive asymptomatic patients with atrial fibrillation from October 2006 through December 2014 who had rest-stress MPI at our institution. Patients were classified as asymptomatic if they did not have chest pain or dyspnea. Our primary outcome was greater than 5% ischemic myocardium. Risk stratification was possible in 1258 patients, and high global cardiovascular risk was defined as a history of coronary artery disease (CAD) or a greater than 20% 10-year risk according to the pooled cohort equation. All-cause mortality was assessed with the Social Security and Ohio Death Indices through 2012 because the Ohio Death Index is not yet updated for 2013 and 2014. A baseline Cox proportional hazard model was created using the pooled cohort equation and an inability to adequately exercise (pharmacologic test). Additional models were then created by adding imaging variables. The assumptions of the proportionality of hazards were met, and a 2-sided P < .05 was considered statistically significant for all tests. The institutional review board of the Cleveland Clinic approved this study with a waiver for informed consent. Our patients were elderly (mean [SD] age, 69.9 [10.4] years), mostly male (63.8%), and comorbidities were common (hypertension in 77.9%, hyperlipidemia in 68.3%, obesity in 50.0%). Most patients (70.1%) were taking anticoagulant drugs, and 30.6% were taking antiarrhythmic drugs. Most patients (78.0%) had had a pharmacologic stress test. In patients with lipid values, the 10-year global cardiovascular risk was intermediate to high (median risk, 22.8% [interquartile range, 12.1%-36.4%]). In the entire cohort of 1700 patients, only 78 (4.6%) had greater than 5% ischemic myocardium. Of these patients, 37 had invasive coronary angiography, and obstructive CAD was found in only 16 patients, with subsequent revascularization in 7 patients. Therefore, the yield to detect ischemia that resulted in revascularization was 0.4%. In patients with high global cardiovascular risk, the yield for detecting ischemia was low and similar to other patients (Figure). Finally, in 841 patients with mortality data, 47 patients died during a mean follow-up of 2.6 (1.8) years. In multivariable analysis, high global cardiovascular risk, pharmacologic test, and ejection fraction of less than 45% were all associated with increased mortality. Conversely, ischemia was not associated with increased mortality (Table). In our single-center study of asymptomatic patients with atrial fibrillation, the yield for detecting ischemia was low and did not significantly increase with increasing clinical risk. Furthermore, after adjusting for baseline clinical risk, inducible ischemia did not provide incremental information to predict overall mortality. Notable limitations of our study include that nonfatal myocardial infarction was not assessed, and mortality data were not available for all patients. Therefore, the strength of our conclusions regarding the lack of prognostic value of ischemia in these patients is limited. However, our data regarding the yield to detect ischemia are more compelling. Recently, the decreasing yield of MPI to detect inducible ischemia has been highlighted with a contemporary incidence of only 5.0%.4 The yield was similar in our study, suggesting that the presence of atrial fibrillation does not identify asymptomatic patients that are more likely to have occult myocardial ischemia. Instead, stress MPI should likely be reserved for patients with atrial fibrillation who have an intermediate to high likelihood of CAD based on their symptoms. Corresponding Author: Wael A. Jaber, MD, Heart and Vascular Institute, Cleveland Clinic, 9500 Euclid Ave, Desk J1, Cleveland, OH 44195 (jaberw@ccf.org). 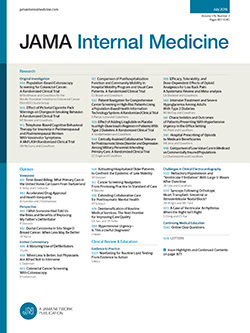 Published Online: September 14, 2015. doi:10.1001/jamainternmed.2015.4802. Author Contributions: Dr Jaber had full access to all of the data in the study and takes responsibility for the integrity of the data and the accuracy of the data analysis. Study concept and design: Cremer, Wazni, Tchou, Jaber. Acquisition, analysis, or interpretation of data: Cremer, Mentias, Newton, Menon, Jaber. Drafting of the manuscript: Cremer, Mentias, Menon, Jaber. Critical revision of the manuscript for important intellectual content: Cremer, Newton, Menon, Wazni, Tchou, Jaber. Statistical analysis: Cremer, Wazni, Tchou. Administrative, technical, or material support: Cremer, Newton, Wazni, Tchou, Jaber. Study supervision: Wazni, Tchou, Jaber.